The modern dish rack by Lasse Sortkjaer for Zone Denmark is a practical addition to all sinks that don’t have any draining surface. The frame is a real asset, especially for smaller work surfaces, since it can easily be removed and stowed away when not in use. This is ideal to maximise the space in the kitchen. Thanks to the jagged structure, plates can be easily fitted into the frame and dry in an upright position. Excess water finds its way through the grooves between the teeth and can be redirected using a flow at the edge of the frame directly into the sink. The simple design by Lasse Sortkjaer is discreetly introduced into any kitchen. 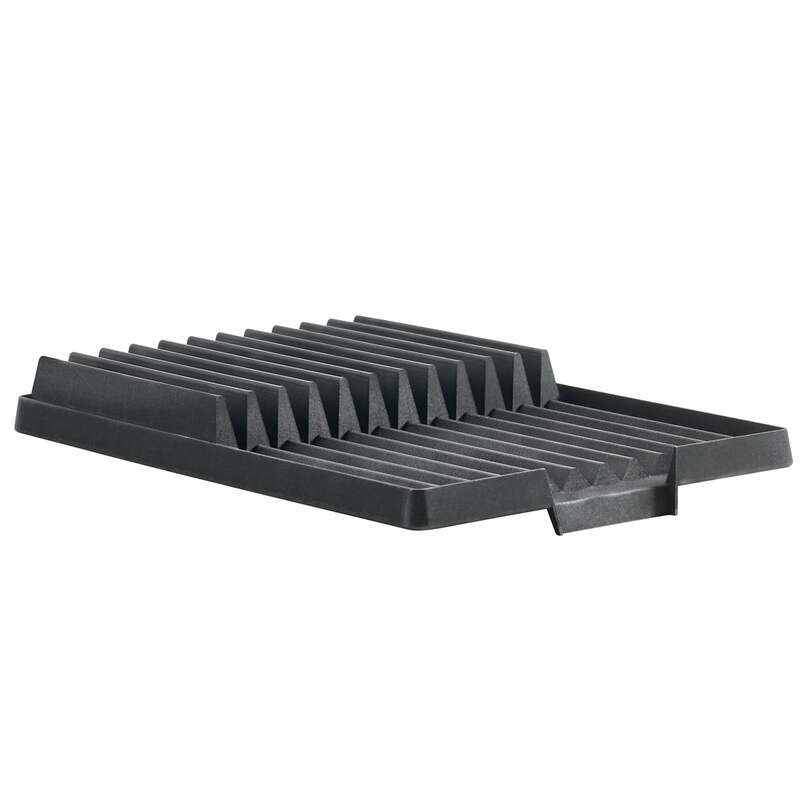 Isolated product image of the Zone Denmark - Dish Rack, black. 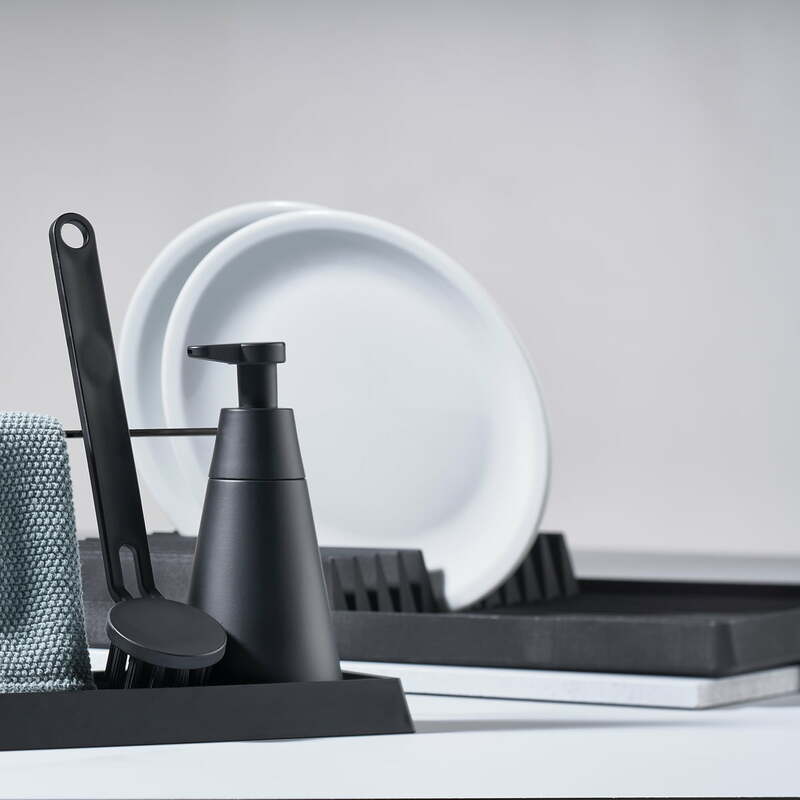 The modern dish rack by Lasse Sortkjaer for Zone Denmark is a practical addition to all sinks that don’t have any draining surface. 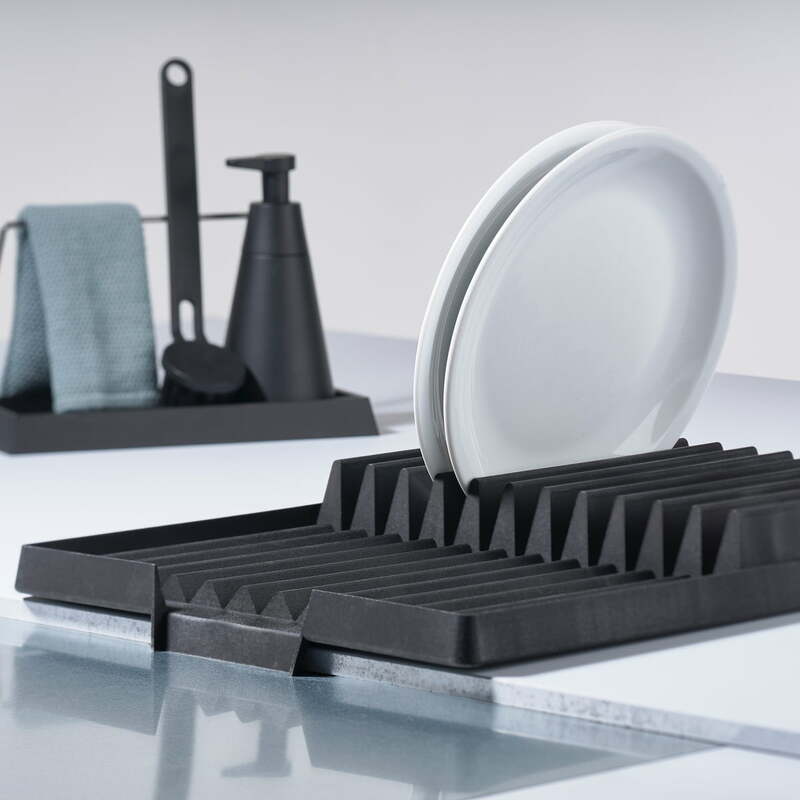 Lifestyle product image of the The Zone Denmark - Drying Rack in Black with the Dry Art Set. Thanks to the jagged structure, plates can be easily be fitted into the frame and dry in an upright position.